Is Wire EDM Useful In Die/Mold Making? 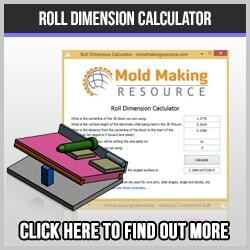 The tool and die manufacturing industry is an almost perfect fit for the CNC wire cut EDM. The punches and die blocks that accept them can now be made to fit with incredible accuracy. The cutting parameters on the WEDM are so predictable and able to be controlled that very complex shapes and contours can be routinely manufactured. If you were to ask an older tool and die maker or mould maker if they miss those days, I seriously doubt many would cast a nostalgic glance backwards for very long. 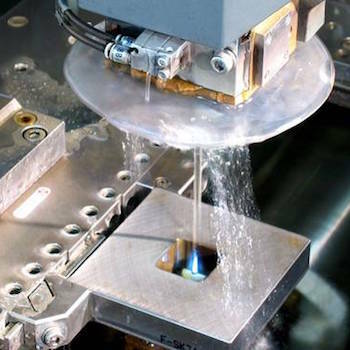 The Wire EDM has relieved a lot of the stress that was once ever present in a tool room. 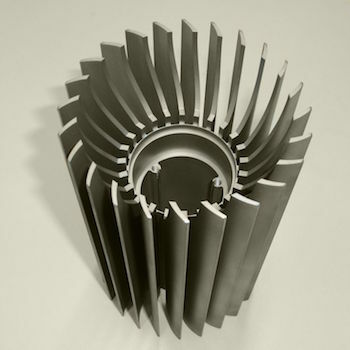 The electrical discharge machining process has revolutionized the metalworking industry. Difficult to machine materials, such as carbide, Inconel, D2 and A2 are as easily cut as cold rolled steel. The finished product is relatively free from burrs, the surface finish is excellent and there is minimal stress placed on the workpiece. The tool die maker has not been replaced, however, his responsibilities have just changed somewhat. The complex grinding must still be done manually in many cases, and these highly skilled craftsmen are an essential part of the process. The use of WEDM has also made jobs more complex and reduced lead times. This places new stress on the toolmakers, who now often run several jobs simultaneously. 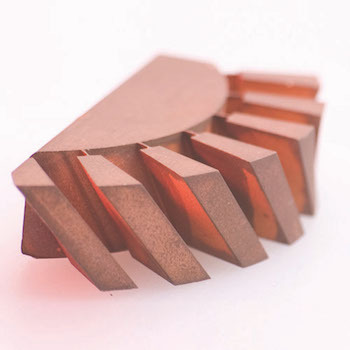 When the wire EDM was first developed, most experts claimed that there would be little application in the die mould industry. How wrong they were! The thinking was that moulds are almost always constructed using blind cavities, unlike a punch and die. The injection mould designers are a very creative group of professionals and soon they found endless applications for this new technology. Plastic moulds almost always have core pins, slides, lifters, and other core details that are very often manufactured by the wire EDM. 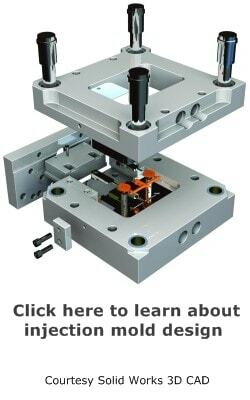 Similar to the precision metal stamping industry, the die mould industry has radically changed because of this new ability. Nearly every single plastic mold now contains numerous mold components the were manufactured using wire erosion. There are many excellent machines available and each one has features that set it apart from the competition. Some of the more common, high end machines include: Mitsubishi wire, Japax, Makino, Charmilles-Agie, Brother, Sodick, and Fanuc. The skilled operator is always in demand, especially if he has experience in general toolmaking. Most operators work quite a bit of overtime and can earn a good living. Generally, the training takes place on the job, often as part of a toolmaking apprenticeship.